We offer a one stop shop approach to Fire prevention in Nottinghamshire and the Midlands at competitive price, no matter if your business is large or small we have the expertise to help you stay compliant and control costs. 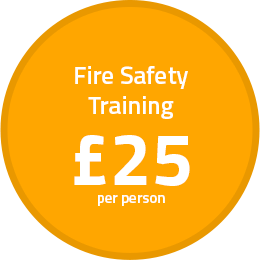 Our services include suitable and sufficient Fire Risk Assessments at an affordable price with no hidden costs, Free online Staff Training when you book a fire risk assessment, fire awareness and fire warden training including all aspects of First aid training at work courses all delivered at your place of work. For businesses on a tight schedule who find it difficult to release their staff, we can provide a various health & safety and food safety course via our On line Fire Training facility, all fully certificated and accredited by The Institute of Fire Engineers and ROSPA. We also provide portable fire extinguisher sales and servicing, emergency light testing and installation, pat testing and electrical condition surveys, fire alarm maintenance and installation with the capability to commission a large range of fire alarm systems, CCTV installation & maintenance, including intruder alarm systems. So, for expert advice on fire prevention and training or to purchase high quality, reliable fire extinguishers in the Midlands, look no further. Contact the team here at Crimson Fire Services Ltd.
You would think that one‐on‐one training would cost a fortune and be time‐consuming to organise. Well, it isn't! Our one‐on‐one tutor led interactive on-line training goes at precisely the pace required by each individual. It provides an opportunity to go over the learning content as often as required so every employee gets the optimum learning experience that'll be retained and applied to keep your business safe and compliant.